Going to Disney World for the first time can be exciting and a little intimidating. You may not be sure what to expect or how to even prepare for your trip. I did tons of research for our first Disney World trip, and I was still surprised by a lot once we got there. Here is a rundown of what you need to know to make your first Disney World trip magical. A little planning goes a long way! Not everyone is ready or willing to have a color coded spreadsheet kind of trip. If the idea of doing any planning causes you angst you can always contact an authorized Disney Vacation planner to walk you through it. If you would like to do your own planning I recommend using this planning timeline. It has an overview of what you need to do each month. In particular, the two planning items that will make your first Disney World trip easier are making advanced dining reservations and using FastPass+. Not even close. Pick a couple of must do items and everything else is sprinkles on the cupcake. As many times as we have been to Disney World we still always find something new to experience. This is why we never get bored at Disney. Remember your child’s personality at home and adjust your plans. For example, we often had to take a mid-day rest when Elizabeth was younger. Some kids are not going to like the characters. That’s okay! Find out more tips for taking toddlers to Disney World here. We’ve all seen the YouTube videos where the children react perfectly to finding out about the trip. Guess what – no one posts the other videos. For our first Disney World trip I did the cute Disney Princess backpack full of essentials for the park as a big surprise reveal. I did not get the response I hoped for, but that trip sparked our love of Disney. Disney World is incredibly large and the whole property is nearly the same size as San Francisco. When we visit the parks we tend to walk between 6 and 10 miles a day! There is nothing worse than talking up the Haunted Mansion only to find it is closed the entirety of your visit. Even if a key attraction is closed during your trip I promise there will still be plenty of fun things to do. But to avoid disappointment here’s a place to check the refurbishment schedule. Elizabeth was a huge princess fan prior to our first Disney World trip. Since she loved princesses so much I was surprised she was hesitant to meet them at first. After a little while we figured out she was actually afraid of the princes! Some characters like Goofy and Mickey can be pretty intimidating. Sometimes you can ease into characters by meeting “face” characters like princesses first. Another way to help ease your child’s fear is by you interacting with the character first. And if those tricks don’t work that’s okay! Maybe on the next trip they will feel differently. Savor it. It will never be the case again. A lot will go how you planned on your first Disney World trip and some won’t. However, with a positive attitude you can find the fun in it all. Some of our best memories are when things didn’t go quite according to plan. Our first trip to Disney World began our love of all things Disney. This love bloomed even though not everything went exactly as I expected. 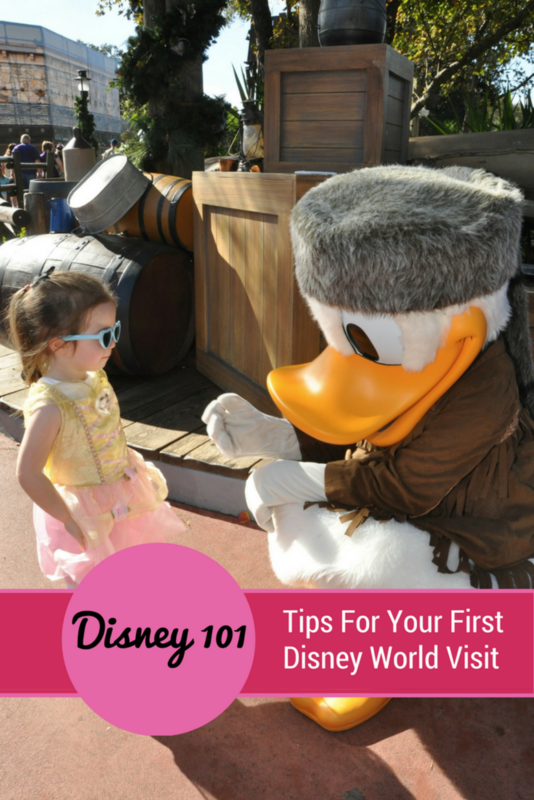 I hope these tips for your first Disney World trip help you have a fun and magical vacation. Seeing the Disney magic through the eyes of a child is a special experience, but are you wondering which is the best age to take your kids to Disney? 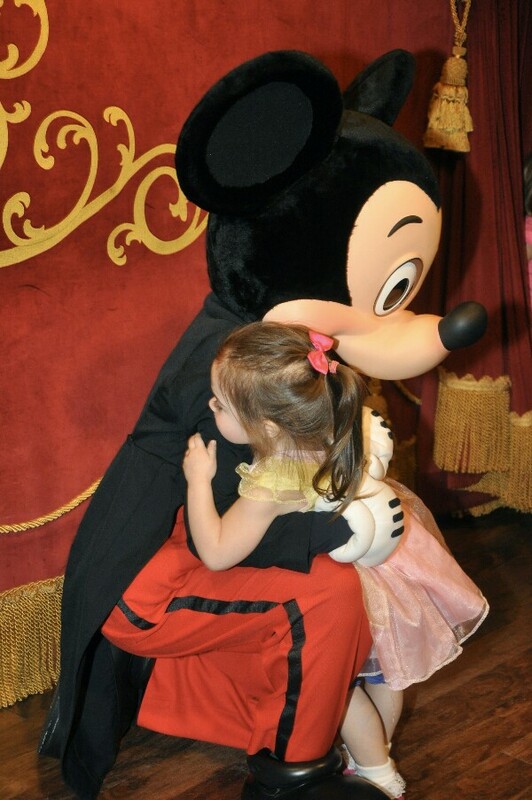 Find out the pros and cons of different ages at Disney from family travel experts. Or are you going to Disneyland in California? I have helpful articles for you, too!